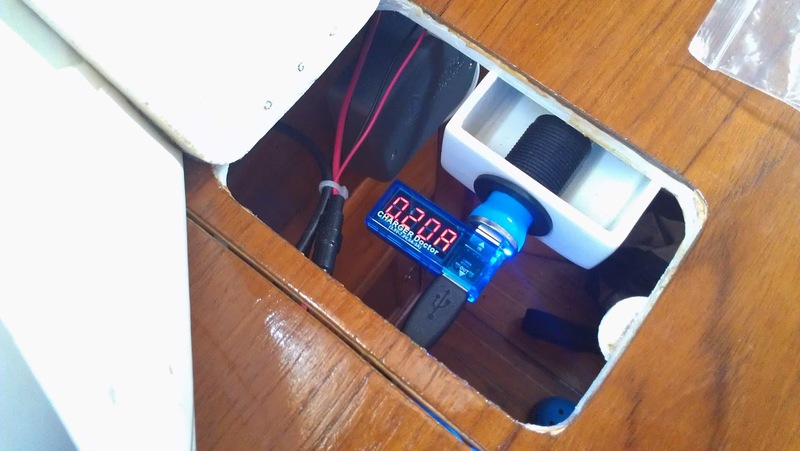 Don Pedro d'Alfaroubeira: Raspberry PI on board: the numbers! Raspberry PI on board: the numbers! Using the Charger Doctor from Adafruit, I was able to see how much the Raspberry PI is drawing when at work. When it boots, with the 7" RCA screen on, it takes 0.24 Amps. This remains the same when starting the Headless Console, with user-exits, battery monitoring, and re-broadcasting on HTTP and TCP. 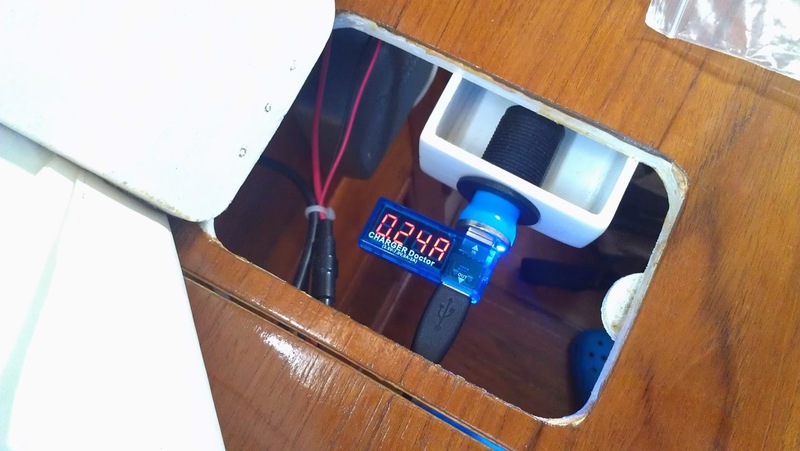 When the small RCA screen is turned off, the consumption drops to 0.19 to 0.20 Amps. As P = UI, that means that the Raspberry PI at works takes about 1 Watt (5v × 0.2 A). This even below what the Raspberry PI documentation is saying!